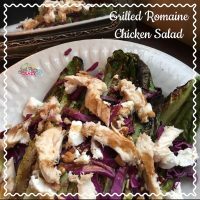 Grilled Romaine Chicken Salad That Will Leave You Wanting More! As I begin my journey to healthier eating I am really trying hard to bring more salads into my daily menu plan. 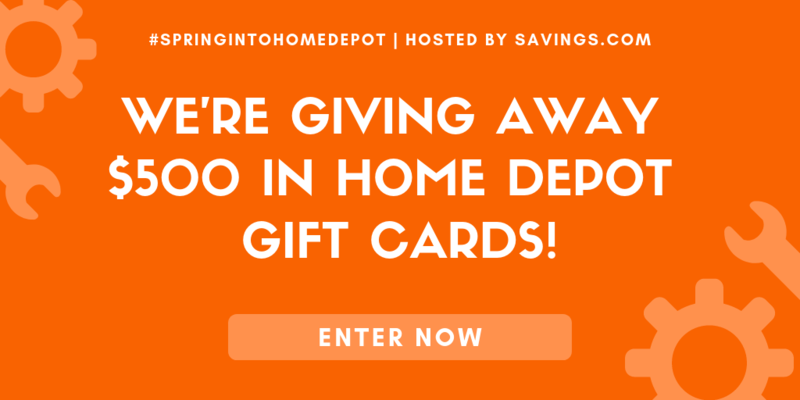 As a busy working mom time is not my friend so when I find a recipe that I love and can meal prep, it becomes a go to – a LOT! 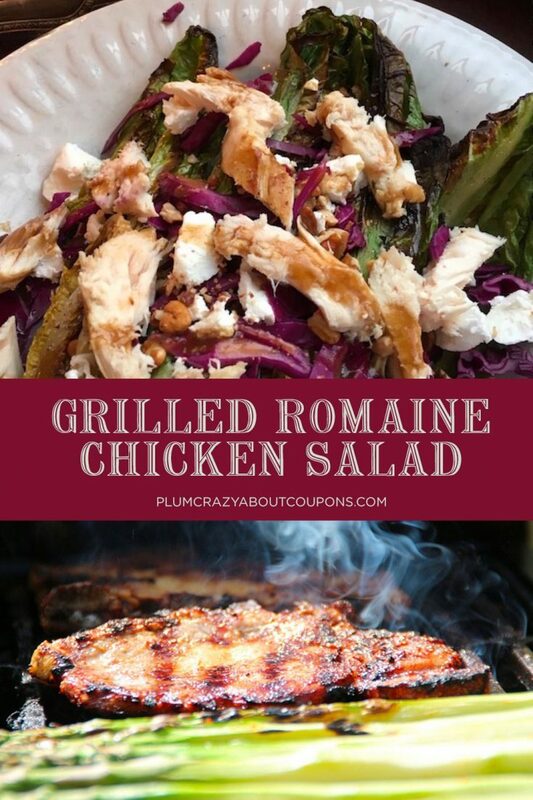 I LOVE grilled chicken – and the fact I can make a bunch at one time to eat all week makes me love it that much more. If you do not feel like grilling or broiling some chicken for this recipe, a pre-made rotisserie is also an amazing option. I have made this recipe with a lemon flavored rotisserie chicken from Shoprite and it was so amazing. Raw Romaine lettuce is a delicious, nutritious and crispy addition to any salad. 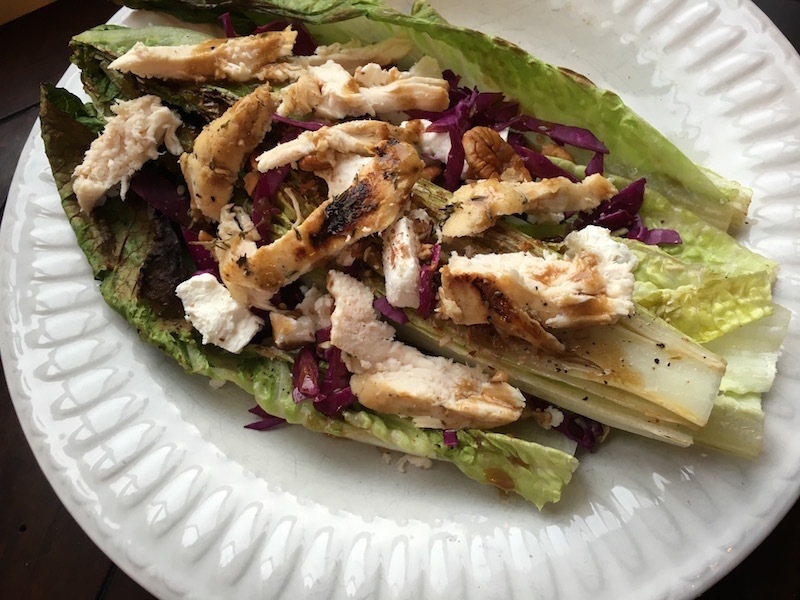 However, when you cut a head of fresh Romaine in half and cook it on a grill for a few minutes… magic happens. The flavors intensify and lend an interesting dimension to an otherwise basic salad. 1. 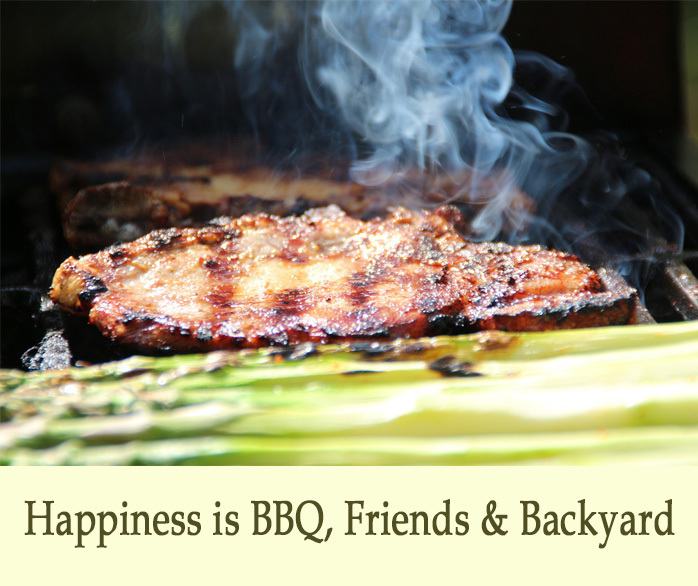 Set your oven to broil or fire up the grill. 2. Cut the Romaine heads in half and place on a baking sheet lined with parchment paper. 3. Brush with olive oil and sprinkle with salt and pepper. 4. 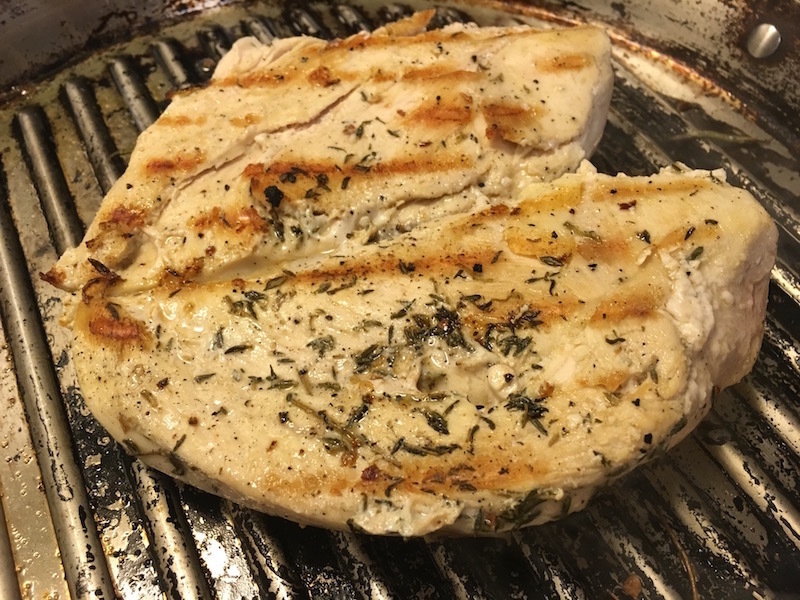 Place under the pre-heated broiler or in fish grilling basket on grill for a couple minutes (keeping a close eye on it because lettuce will burn quickly). 5. Remove once the lettuce is a nice, golden brown. 6. Add all the ingredients for the balsamic vinaigrette together in a glass bowl. 7. Whisk thoroughly to combine. 8. Allow vinaigrette to sit for at least half an hour to give the flavors a chance to meld. 9. Place ½ browned Romaine head on each plate and top with 2 oz. of chicken and 1 oz. of goat cheese. Divide sliced red cabbage and chopped pecans among the four plates. Drizzle each salad with a little of the vinaigrette and serve immediately. Healthy and flavorful - this grilled chicken romaine salad will be sure to be a frequent addition to your lunch or dinner meal plan. Set your oven to broil or fire up the grill. 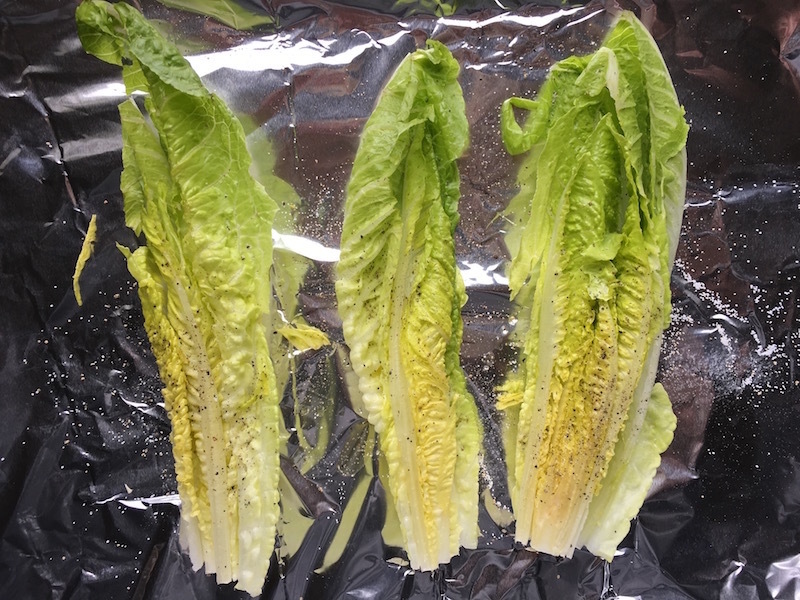 Cut the Romaine heads in half and place on a baking sheet lined with parchment paper. Brush with olive oil and sprinkle with salt and pepper. Place under the pre-heated broiler or in fish grilling basket on grill for a couple minutes (keeping a close eye on it because lettuce will burn quickly). Remove once the lettuce is a nice, golden brown. Add all the ingredients for the balsamic vinaigrette together in a glass bowl. Whisk thoroughly to combine. Allow vinaigrette to sit for at least half an hour to give the flavors a chance to meld. 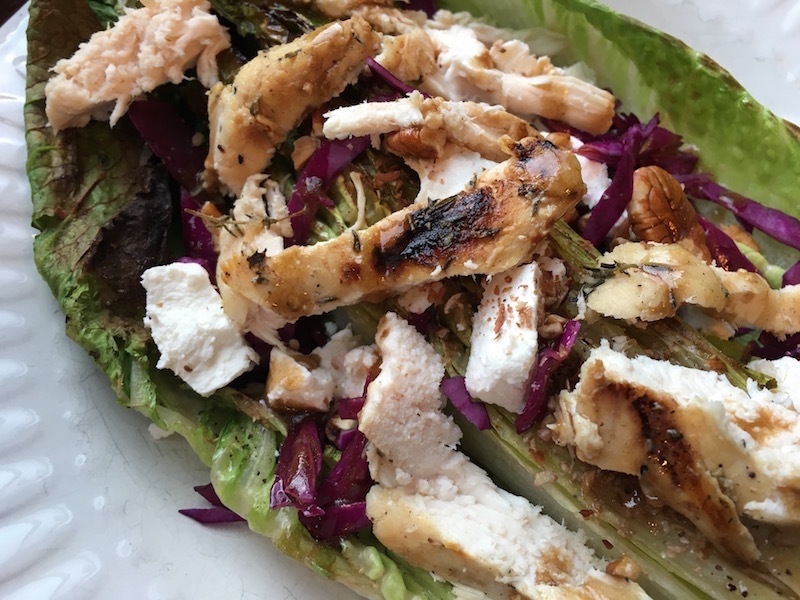 Place ½ browned Romaine head on each plate and top with 2 oz. of chicken and 1 oz. of goat cheese. Divide sliced red cabbage and chopped pecans among the four plates. Drizzle each salad with a little of the vinaigrette and serve immediately.